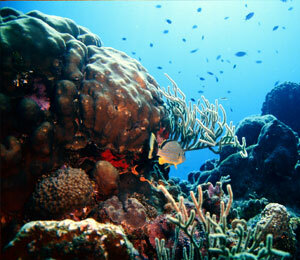 The Key West coral reef is a complex eco-system and one of the most diverse in world. It is the equivalent of the of the tropical rainforests on land, and is the home to more than a fourth of all known fish species, despite only being less than one percent of the marine environment. Coral reefs have been around for approximately 200 million years, and some scientist even believe up to 400 million years ago they existed. The coral reefs take time to grow and it is believed they reached their level of biological diversity about 50 million years ago. Coral reef is made up of thin layers of calcium carbonate that has been secreted over thousands of years by tiny soft-bodied animals by the billions called coral polyps. These polyps differ in sizes and can be as small as a pinhead to a foot in length, and each one lives in a symbiotic relationship with an algae. This algae, called Zooxanthellae, gives the coral its beautiful hue by taking in Carbon Dioxide, then giving off Oxygen. These millions of polyps start to form on the limestone that exist, and then create what we now know as a coral reef. This ecosystem is extremely precious to the waters of Key West, and deserves our care and respect. 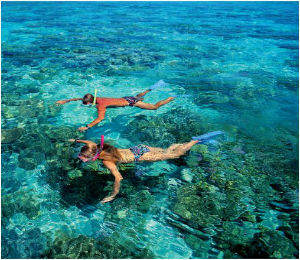 Key West snorkeling is the best way to experience the reef, just please remember to look and not touch. One wrong touch could destroy hundreds of years worth of building. The coral reef of Key West has been under threat due to recent oil spills, and we believe it's our duty to keep our mother Earth healthy and clean. If your back yard we getting damaged in some unhealthy way, you would get upset and make sure something was done about it, right? 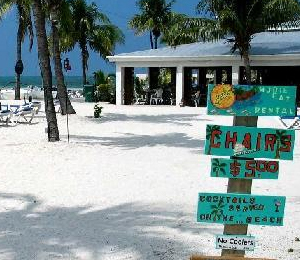 Well, since we snorkel Key West often, we consider it our backyard, and would like to preserve for future generations. 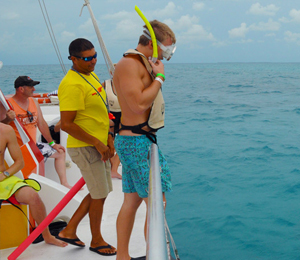 For more info on booking a snorkeling tour in Key West to see theamazing coral reef formations and wildlife, please call us at 877.243.2378.